Trip Planner: Asia / Malaysia / Penang / Penang Island / George Town / Matahari Cycle Tours & Travel Sdn. Bhd. Have an adventure with Matahari Cycle Tours & Travel Sdn. Bhd., offering trips that are just a day trip out of the city or a multi-day excursion to see more. The operator caters to those relatively fit vacationers who wish to ride but not overly strain themselves. As well as others looking for more of a physical challenge and want to spend their entire vacation cycling. You can ride at your comfort level and choose an itinerary that suits your style, or ask the operator to customize to your preferences. Check the website for more. See Matahari Cycle Tours & Travel Sdn. Bhd. and all George Town has to offer by arranging your trip with our George Town trip planner . Create an itinerary including Matahari Cycle Tours & Travel Sdn. Bhd. Great day on a bike! seeing the cottage industry on Penang Island & learning about a forgotten way of life compared to the tourist industry was a real eye opener. Coffee outdoors by a clear flowing stream instead of an A/C coffee shop was one of many highlights. Lunch under a shade structure in the middle of a rice paddy. Easy riding with plenty of stops for drinks/food. Small group made for great interaction between everyone. Absolutely amazing experience! Total opposite of busy Georgetown. Was so nice to actually experience rural Malaysia, since I have so far only experienced the cities and was looking for a good excuse to get out of town. 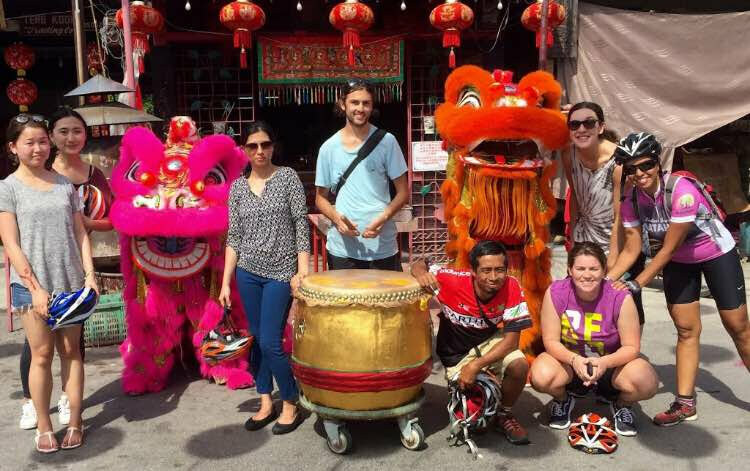 A must-do for everyone who has the ability to cycle and wishes to get a better insight into Penang and Malaysia! 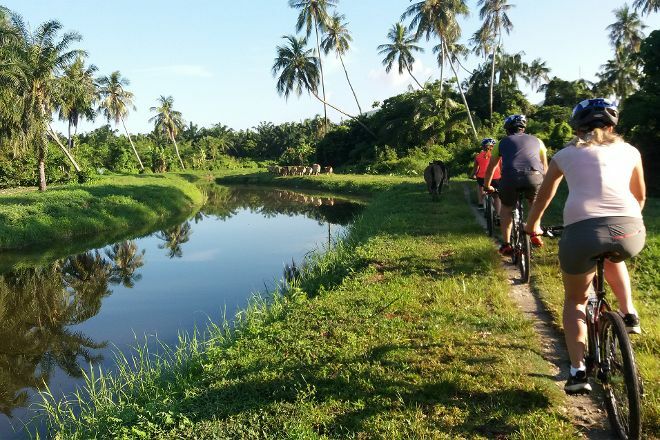 Our Balik Pulau countryside ride was the highlight of our week long stay in Penang. It was great to get out of the hustle and bustle of Georgetown and into the serene rice paddies, quaint fishing villages, mangrove swamps rainforest and amongst palm trees. A quick visit to the goat farm had us being introduced to a variety of farm animals and tasting the goat and passion fruit yoghurt and ice cream made in the premises. 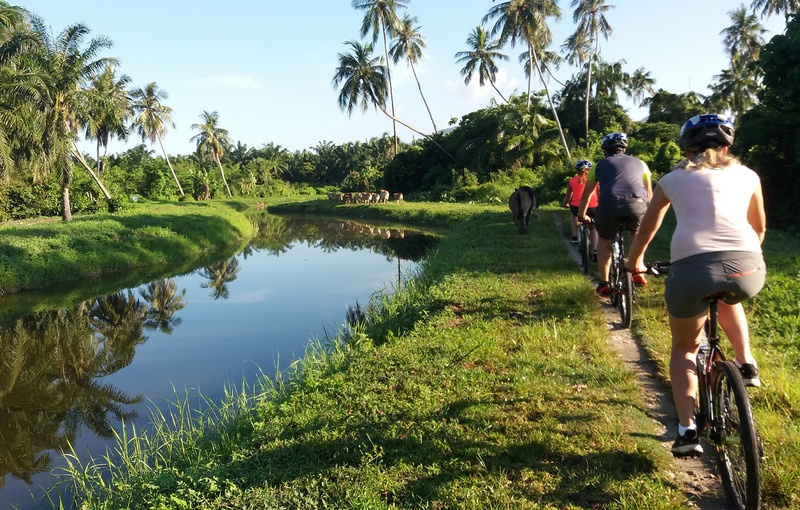 The scenery we saw was breathtaking but equally nice was the variety of wildlife we saw along the ride including - monitor lizards, numerous long-tailed macaque monkeys, water buffalo complete with landmines, kingfisher birds and we were lucky to see an otter. Princilla was an extraordinary guide whose knowledge about her country was interesting and informative. She is passionate about her politics, the image of her tour and sport, and well respected by the villagers along the way. Warren, our driver, was very attenable and made sure we had perfectly working bikes and helmets, mosquito repellent, a well-timed coffee, and lots of water. Our picnic lunch was a highlight amongst the rice paddies with a delicious local freshly made laksa, fried chicken and spring rolls with a shrimp paste dipping sauce. Fresh fruit and iced nutmeg drinks followed. Warren’s concern for our safety was paramount and he constantly checked the bikes for punctures, air pressure and gears. The last part of the ride was the most challenging but spectacular - picturesque scenery and had us arriving at a secluded beach perfect for a quick dip to cool off. A perfect way to spend a day and we thoroughly enjoyed every minute of this unique trip. We highly recommend this experience to anyone who loves nature, is adventurous and has a basic fitness level. Escape Georgetown and discover what is over the mountain with Matarhari tours. You won’t regret it!! 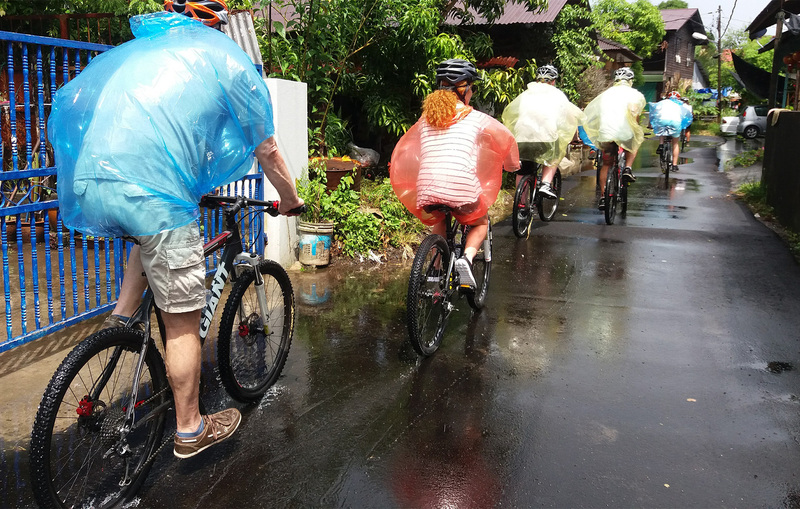 Our bike tour with Matahari tours was incredible!! Pricillia and Ding took us 30km around the beautiful untouristy south west part of Penang Island. The ride was gentle and predominantly flat with lots of stops for the most delicious food cooked by Warren. The guides were so kind and looked after us so well. It was our highlight of visiting Penang and would do it all again if we could! Thanks guys! Places to stay near Matahari Cycle Tours & Travel Sdn. Bhd. Every day, we help thousands of travelers plan great vacations. Here are some tips on how to use your Listing Page to attract more travelers to your business - Matahari Cycle Tours & Travel Sdn. Bhd..
Promote your permanent link - https://www.inspirock.com/malaysia/george-town/matahari-cycle-tours-and-travel-sdn-bhd-a6386640083 - on your website, your blog, and social media. When a traveler builds a plan from this page, the itinerary automatically includes Matahari Cycle Tours & Travel Sdn. Bhd.. This is a great way for travelers looking for a great vacation in your city or country to also experience Matahari Cycle Tours & Travel Sdn. Bhd.. Promoting your link also lets your audience know that you are featured on a rapidly growing travel site. In addition, the more this page is used, the more we will promote Matahari Cycle Tours & Travel Sdn. Bhd. to other Inspirock users. For best results, use the customized Trip Planning Widget for Matahari Cycle Tours & Travel Sdn. Bhd. on your website. It has all the advantages mentioned above, plus users to your site can conveniently access it directly on your site. Visitors to your site will appreciate you offering them help with planning their vacation. Setting this up takes just a few minutes - Click here for instructions.